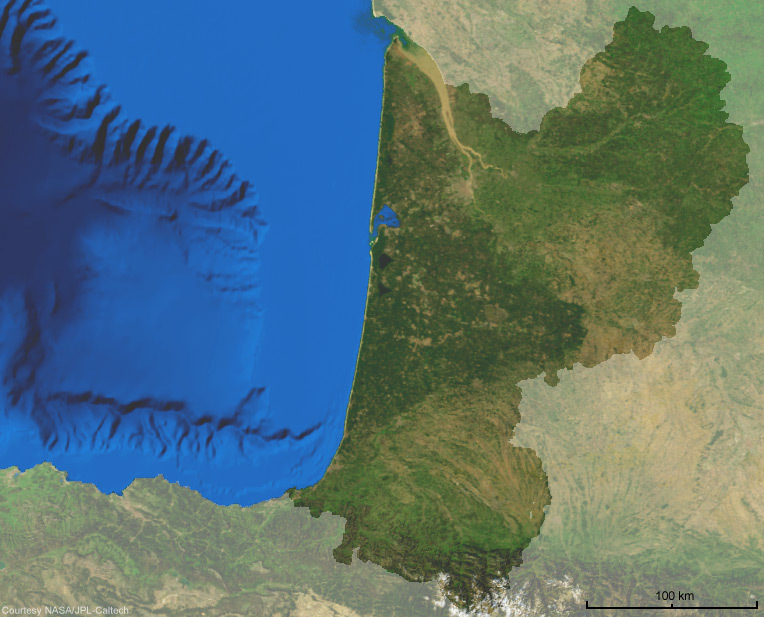 The Atlas of the fauna in Aquitaine is the main project of Faune-Aquitaine.org. This work is in progress!!! Select a faunic category with one of the icons beneath, then a species, to discover the repartition map, on a 10km x 10km grid, of this species in the region (you can set the time period in a matter of a few clicks), a short description of the species and its status, a chart showing the periods of occurrence of the species in the region, as well as photographs and sounds. All of thhis is generated "live" from the data accumulated by the participants, and the texts are writen on a volunteer basis. The maps have two kinds of virtues: - they provide a rather accurate idea of the occurrence of the speccies in the region, - they enable the participants to orient their field prospections towards less-well-covered areas. You can also click on one of the dots in the general map below to get a list of the species that occur in this area. Please note: This map is based on casual records only. Thus these are NOT systematically recorded data (e.g. of a breeding bird atlas)!